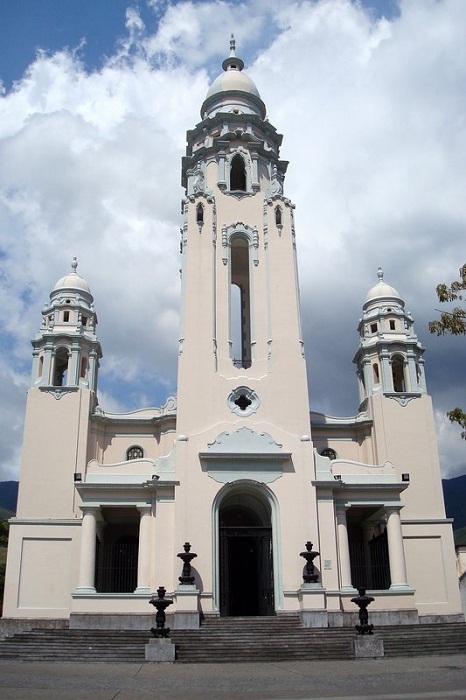 National Pantheon of Venezuela is the final resting place for the national heroes of the South American country, the Bolivarian Republic of Venezuela. 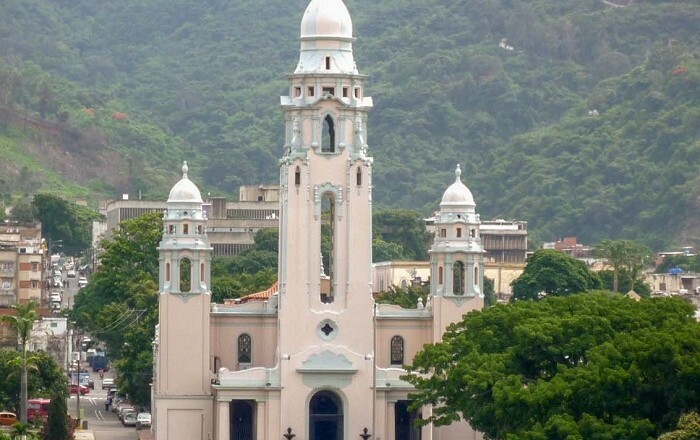 Located on the northern edge of the old town of Caracas, it was originally intended as the Church of the Holy Trinidad, which was built in 1870, on the site of another ruined church. Juan Domingo del Sacramento Infante was the person in charge of the construction which made this building something for the country to be proud of. 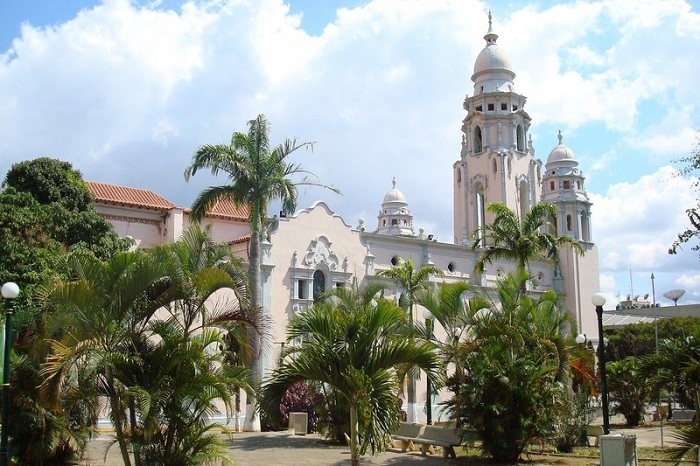 The architectural style used for the construction is colonialism, which later was transformed during a reconstruction and became the first neo-gothic design of Venezuela. 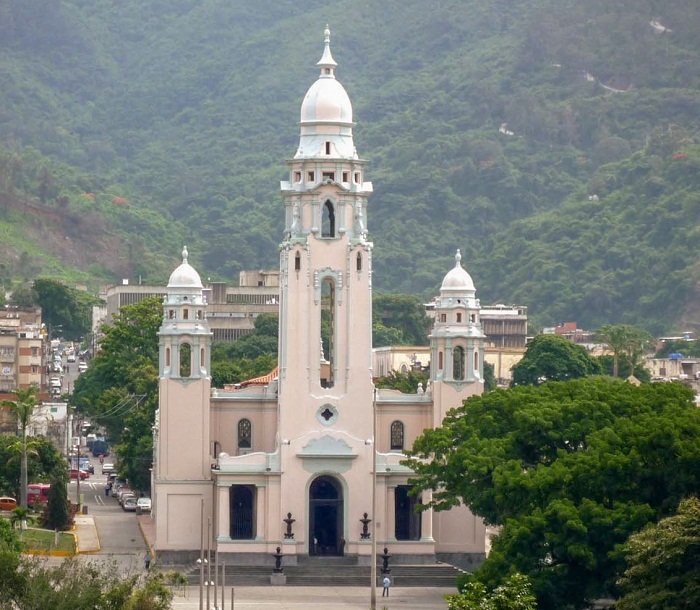 As it is painted in a light shade of pink, it definitely catches the eye of those visiting the Venezuelan capital. 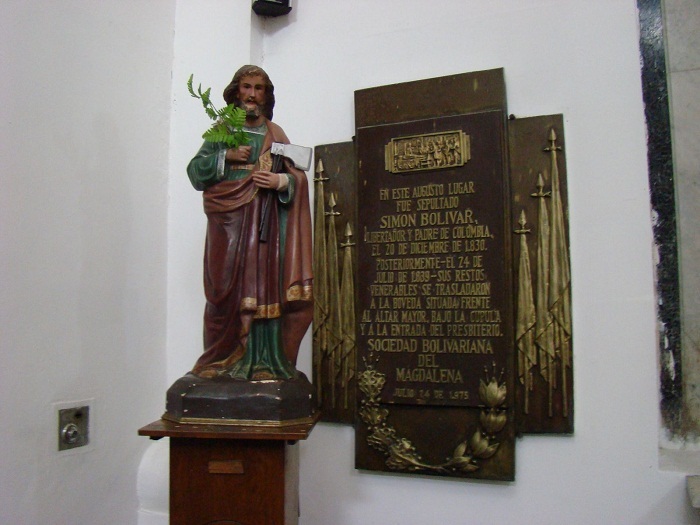 Officially, on 27 March 1874 the church was decreed into a National Pantheon by the President Antonio Guzmán Blanco, so that the remains of the heroes of Independence and many eminent people would be conserved. 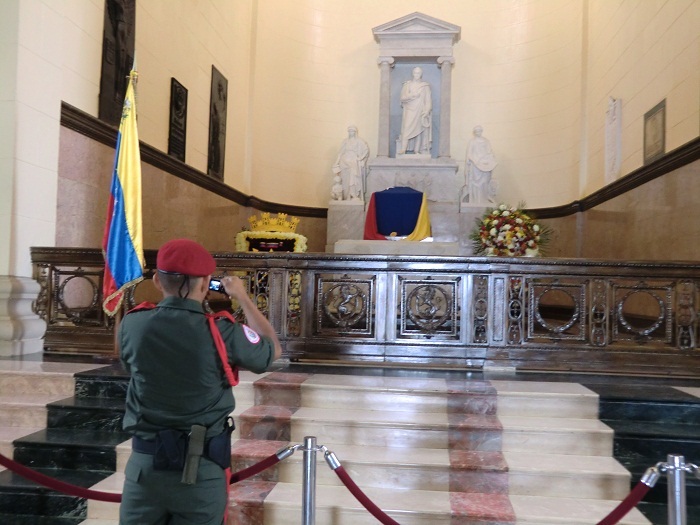 The entire central nave is dedicated to the Venezuelan military and political leader Simón Bolívar whose body was moved there in 1876, with the altar’s place taken by the hero’s bronze sarcophagus, while lesser luminaries are relegated to the aisles. 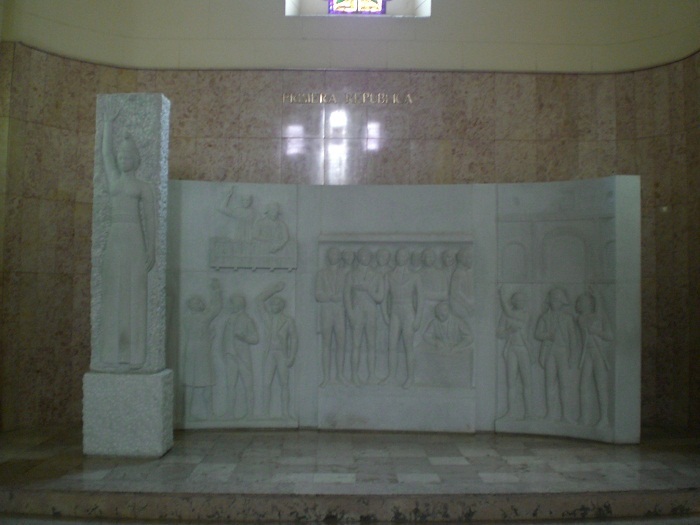 Nonetheless, inside can be found the remains of the most illustrious Venezuelans, such as Marqués del Toro, Jose Gregorio Monagas, Andrés Ibarra, Ezekiel Zamora and many other significant people for Venezuela. Besides serving as a mausoleum, it contains as well important works of art including an enormous Baccarat crystal chandelier with over 4,000 pieces and 230 lights. Being part of the Foro Libertador, which is a large space where the impressive buildings of the National Library and the Supreme Court of Justice can be found too, it was expanded and restorated in 2013 after a 3 year long process. 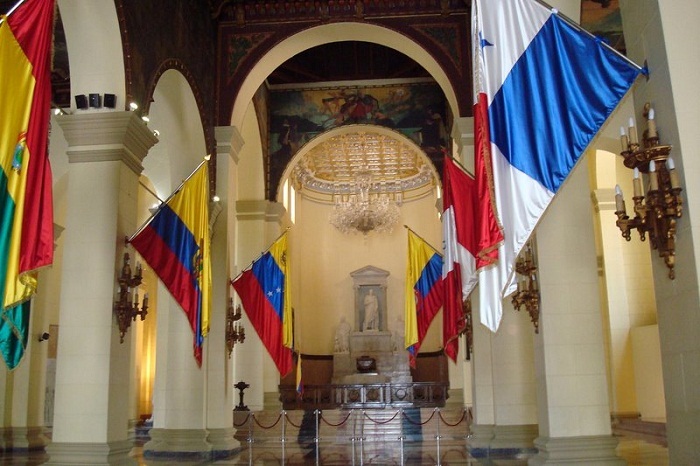 As a distinguished place of great importance for the people from Venezuela, it teaches all those people visiting the National Pantheon the history of the country and also those who would like to learn more about the interesting Bolivarian Republic of Venezuela.